How to use MapR local volume as the spill directory for Apache Drill. By default, each drillbit uses its local disk "/tmp" as the spill directory. However if the local disk is not large enough for certain huge query which requires lots of spilling space, another choice is to use MapR local volume as the spill directory. Of course, the disks used by MapR local volume should be large enough. 1. Create a MapR local volume for each node. MapR local volume is just a volume limited by its topology to reside only on its own node. 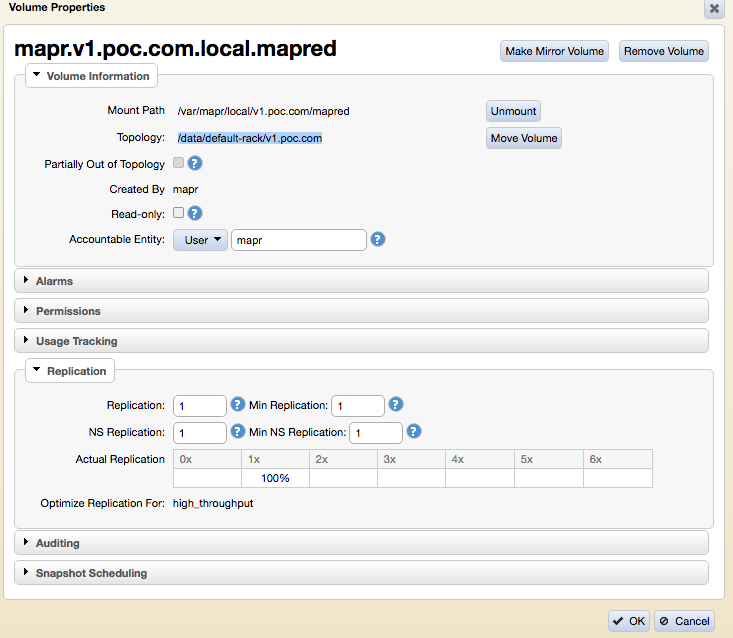 Here is one example of local volume created by MapR for MapReduce jobs. 2. Add an environment variable to drill-env.sh on all nodes. 3. Add the configurations for spill directory in drill-override.conf on all nodes.